I post this every year under the same title and the data is starting to become useful. 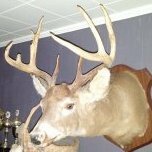 In this thread I'm asking people to post the rut related activity in their area in a clear and concise format. In the later phases it's important to describe the activity you actually saw, because it avoids confusion of people using terms such as seeking, chasing and peak rut differently. Over time, these threads will gather enough information specific to this state to help predict future ruts. The below example is what I'm seeing and the format to be used. Lets help ourselves and each other better understand the rut and save it here for next year. If you are someone who has always thought about keeping a journal, but you never actually write stuff down, you may be surprised at how much what you write here can help you next year. Description: Limited movement just before sunset. A few small bucks are seen in pairs and light sparring has been observed. So far no rubs or scrapes have been found in my area. Bucks have definitely changed habits. Tons of pics all September, but nothing much the last 2 weeks. Typically they come back early Nov. Bucks still mostly nocturnal but just today for 1st time saw a buck actively chasing some does around 8:30am,does not interested at all yet. Saw 4 small bucks this morning, between 7-11am. They weren't on a "mission" or anything, but on their feet during daylight hours anyways, so that's encouraging. I found 3 fresh scrapes in the past 3 days. I keep rattling in fork and basket bucks. The 1.5 year olds are pretty active on the rub lines daytime. No trail cam pics or sightings of mature bucks yet in 8H or 8G. One day a couple weeks ago i had multiple bucks on cam mid day all a few minutes apart, makes me think they were bumped out of bedding for some reason. 5 flatops this morning, not a buck to be seen. Hunted 9H friday and had a spike in the field feeding about an hour before sunset . Hunted 9P all day saturday , all the pictures and first hand experience showing the does coming out almost at night. 7J just found a fresh scrape this morning. 9M-- no scrapes or rubs. Saw one deer on the way in the dark.. could not see if it was a buck or doe, but big bodied. 9Y - Date and time correct on photo. Bucks beginning to hit scrapes and work the overhanging branch. 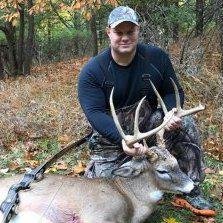 Saturday had a six-point buck hard-chase a big doe, that was running hard, under my stand at about 5 pm in the sunshine. Trailcam pic's are showing few older bucks, compared to late September. Small bucks are starting to become "interested" in the doe's, but not really chasing them. Rub lines and scrapes are really starting to pop up over the last three days, from a week ago. I expect that to continue this week. 8H - have not really seen any rutting activity. 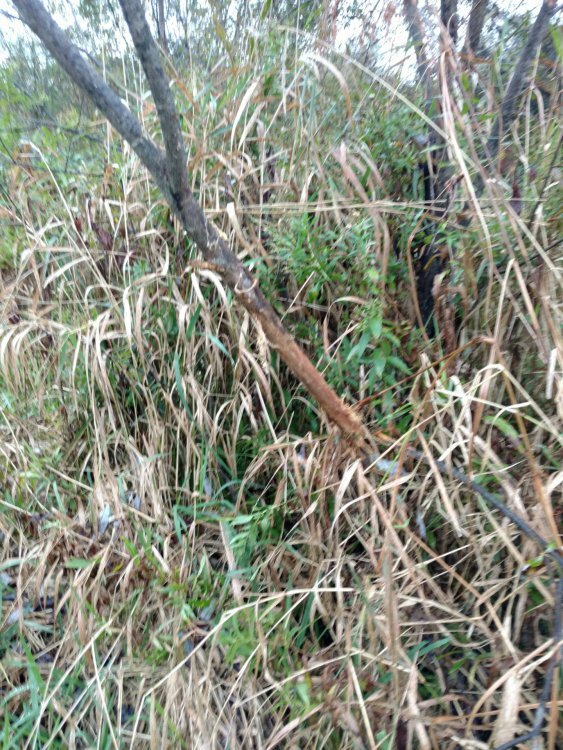 Did see a 2yr old bumping a doe with a fawn around about week ago but she had no interest. No scrapes yet. A few rubs around obviously. Drove the Taconic State parkway from Columbia County to the Sprain brook parkway in Yonkers late afternoon/early evening and saw ZERO deer. Pretty sure that’s a sure sign of October lock up! Have seen two scrapes starting to be used. One rub. Def more deer movement though with the cooler weather. No sign of rut here is 8h. A few rubs and does seem to be still hanging out in groups. Haven't seen any bucks in about three weeks. 7m madison county me and the nephew found 2 scrapes(these 2 are always the first opened on this piece of property) and a bunch of little rubs. 3 does we saw were just feeding along. Spike was on a mission but i dont think he was looking for a date. All does until last week, mostly at night. We have had this property mic'ed up since August when we signed lease. Now does coming out more in daylight, bucks at night. Just discovered a new 4, 6 and 10 pointer at night on our cams from last week. Only bucks coming out during day are our two spikes. Does are medium sized to large.